This is the final book of this series and what an ending. This is one of those books that I cannot give any details away, literally, none. Everything is a spoiler. This is also one of those books whereby for once I am demanding more and not just a “I’m being greedy, I want more”. This is the first case I have come across where the characters demand more, this story still has a lot of legs and while I appreciate and understand the way this finished, for me personally as soon as I had finished, I had already plotted out the next book. This is also the first time I have sobbed at the ending of a book just because it had finished. Once I had got a hold of myself I sat there and thought “why on earth are you crying woman?” The only thing I could come up with is because I didn’t feel closure; this just couldn’t be the end. 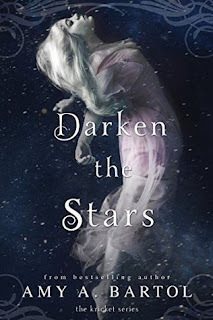 The trouble with Amy Bartol is she has a knack of endearing her characters to you on all levels, these characters become a piece of you and because she goes into so much depth you know how and what these characters would do in certain circumstances. I know what should happen, I just hope that the publishers take into account my pleading and option a fourth book. I need to know that these characters are okay after everything they have been through. I just want more...PLEASE!!! This is my first dystopian series and a genre that I do not typically read but such is the power of Amy Bartol’s draw that I had to give it a go just because I loved her Premonition series so much. I had tried to read this genre in the past but just couldn’t gel with it, but somehow Amy Bartol managed to draw me into this world and made me not only love it, but want more of it. This final book is about war, the fight for survival, love, trust, betrayal and the most overwhelming fear I have ever had while reading. Fear for these characters, fear for what I thought I knew, fear for actions I never thought I would read about, just shock, horror and confusion but more importantly I understood, everything. While this was not what I was expecting, I could see the whys and wherefores, after all, what we the reader need to remember is that this is Kricket’s story. Kricket's sole aim is to survive and thrive and this is definitely her story. I found myself loving those I hated and hating those I loved, something that I thought was impossible. With this kind of read you cannot help but move your thoughts ahead a mile a minute and plotting and scheming as to what you want to happen and what you hope would happen, so it when it doesn’t pan out that way you are actually taken aback. Overall, this is one series that I will never forget and one that when I need an escape from reality I will definitely be reading again. I have to applaud Amy Bartol on once again her creativeness and her imagination. Her flair for totally immersing you into her “worlds” so effortlessly only goes to show what a unique talent she has. I also have to applaud her courage in delivering a book that she wanted, the direction that she envisioned her characters taking. While it may not be what we all wanted or expected, kudos to her. So 47North, my last ditch plea...I need another book, seriously. Not just a maybe, but a definitely.